Let's uncover the best places to eat, drink, and shop! The Hague, the international symbol of peace and justice, is characterised by a lively, friendly atmosphere. It’s a pleasant place to linger. And picturesque Delft, with its cultural and historical highlights, is just down the road; so an outing to visit it is an obvious choice. We wish you a wonderful time on your journey of discovery full of surprises! Navigating the city will show you the way around. You will read it all in Navigating The City! 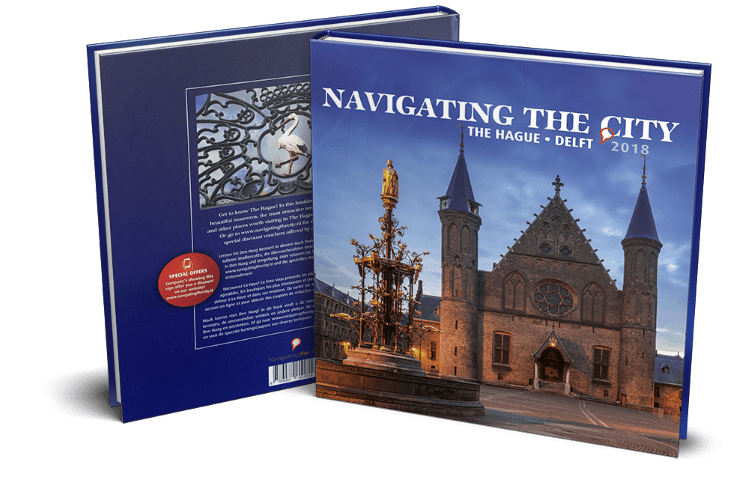 You can find this luxurious and extensive city guide in one of the 4000 hotel rooms of The Hague.